​either as a solo artist or as a group. Morvah Schoolhouse is an unique and inspiring exhibition space in which to show the very best of Cornish art and craft. The fields, moors and sea form a breathtaking backdrop to work that is a reflection of the living environment. The many visitors the gallery remark upon its unique location and authenticity of work. The gallery is available to hire throughout the year, on a fortnightly basis, to designer makers and artists living in Cornwall. 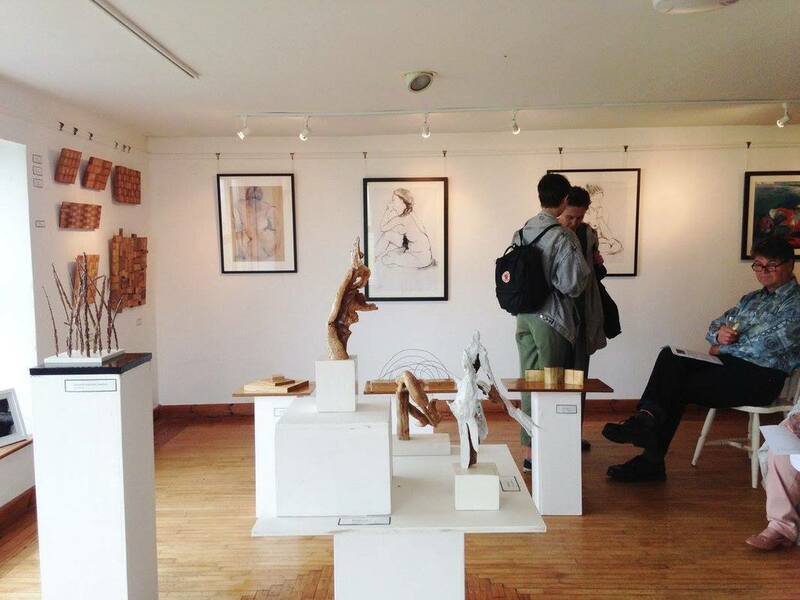 The space can accommodate solo exhibitions and groups at a reasonable cost. We also curate a number of our own regular exhibitions to which professional artists can apply. The upstairs galley is also available as a workshop space. If you would like further information please ring Morvah Schoolhouse 01736 787808, email info@morvah.com or contact us via this site. Such a busy Preview Party for our Christmas Curated Show 'Nadelik Lowen'.